Terrazas by Bahía Principe is the perfect place to experience the Resort lifestyle. 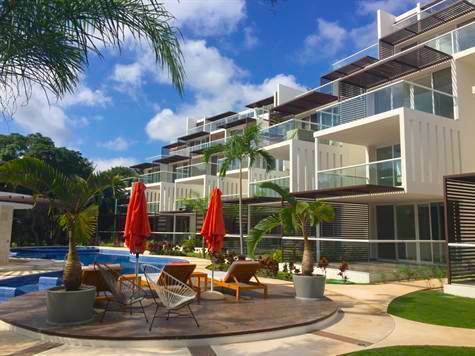 Terrazas is made up of a total of 60 units, all with a modern, fresh, contemporary design and with a great view of the hole 7 of the magnificent golf course. The building has rental pool, elevators, 2 swimming pools with seating areas, gym, lobby, business center, playground for children, outdoor social area for grilling, 24/7 security, concierge, designated secure parking and of course you can multiply all that many times over if you include the ones in the resorts, where you will have preferred access as an owner at Terrazas.